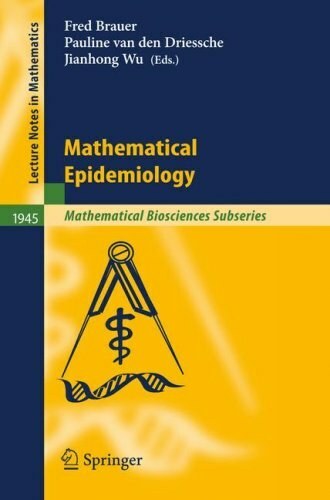 Based on lecture notes of two summer schools with a mixed audience from mathematical sciences, epidemiology and public health, this volume offers a comprehensive introduction to basic ideas and techniques in modeling infectious diseases, for the comparison of strategies to plan for an anticipated epidemic or pandemic, and to deal with a disease outbreak in real time. It covers detailed case studies for diseases including pandemic influenza, West Nile virus, and childhood diseases. Models for other diseases including Severe Acute Respiratory Syndrome, fox rabies, and sexually transmitted infections are included as applications. Its chapters are coherent and complementary independent units. In order to accustom students to look at the current literature and to experience different perspectives, no attempt has been made to achieve united writing style or unified notation.Notes on some mathematical background (calculus, matrix algebra, differential equations, and probability) have been prepared and may be downloaded at the web site of the Centre for Disease Modeling (www.cdm.yorku.ca).